Innovation is all about ideas and how they can be employed to solve real world problems. Contrary to popular belief, great ideas generally do not occur as divine manifestations but involve deep contemplation and research. The rise of Artificial Intelligence is threatening the traditional job market (More on opportunities and threats of AI in another piece). In the changing world scenario, to be able to come out with innovative ideas can keep one relevant. Our brains are naturally conditioned towards critical thinking instead of innovative thinking. Another aspect of human psyche is that we simply reject the notions or ideas that do not confirm to our existing beliefs. So, we need to condition our brains to think in a specific manner to be able to come out with innovative ideas. One of the most commonly suggested way of being more innovative is by creating more connections, being in more networks. While it certainly is needed to understand the world around us, human brain can be conditioned to think more innovatively to generate new value adding ideas. This way of thinking needs to be consciously practised to make it into a habit. Some of these ways are, ‘Exploring the Boundaries’, ‘Imaginative Reuse’ and ‘Persistence of Thoughts’. We will look into them in detail, with examples, in this and next pieces in this series. One of the easiest way of generating new ideas is to explore the world around oneself. Identify the systems and subsystems and consider if they can be improved or used in tandem to create new capabilities. Look at them and try to imagine how a combination of the capabilities available in the present system can be improved or combined to push the boundaries further and generate new capabilities. Can the available capabilities be used as infrastructure to generate new capabilities thus enhancing the total value provided by the system? 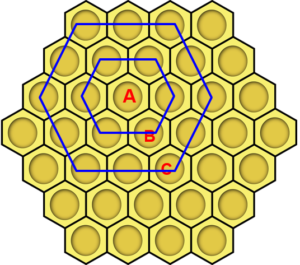 The honeycomb system below will explain this better. To be able to reach C from A, one needs to go through B (majority of time). This is how exploring and pushing the boundaries further will help uncover new ideas and develop new capabilities. So, what does exploring and pushing the boundaries mean? Look at the world around you and observe how its working and changing. Every major or minor change in the system creates certain gaps. These gaps can be as small as needing only a small fix or may be as large as needing a real change in the underlying scientific theories. Every change thus brought about in the systems creates new combinations to give rise to further changes and improvements. This, in a manner, becomes a perpetual cycle. How the rise of eCommerce has given a push to the Logistics sector can be seen as an example. Try to live in future. What is Future today is going to be the Present tomorrow. Tomorrow can be imagined today to build it now. Imagine the future world and then focus on a specific aspect of the system you are dealing with. Imagine how it will behave in that future. Would the necessary and sufficient conditions needed for your product/system to work in future be fulfilled? Think about the corrections that would need to be made to make sure your product/systems continues to work or evolves to be relevant in the future. 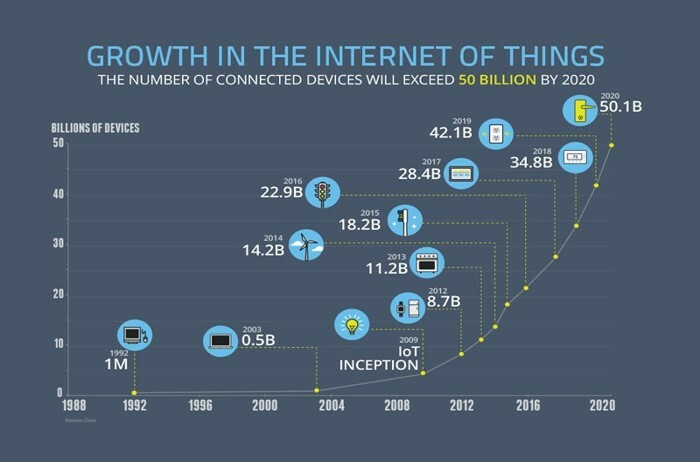 A research predicting the possible number of IoT devices by 2020 is a futuristic research that indicates the kind of opportunities that the IoT market presents. This article by Industry Week magazine throws some light on how Smart Factories will add value to the world economy. There are so many different aspects of Smart Factories that are addressed by digital technologies. Such studies and reports help one peek into the future and understand the missing links to get to the foreseen future (i.e. the new ideas). Question the assumptions. Every system is built on certain preconditions/assumptions that it takes for granted. These assumptions/preconditions can be in the form of a subsystem or the infrastructural support needed to run the system. As part of exploring the boundaries, one needs to question the validity of these assumptions. Is the subsystem/component (assumed to be a necessary part of the system) really necessary? This can be clarified using the ‘water tap’ example. Traditionally, the water taps needed a handle to turn the flow of water on or off. When the designers questioned the necessity of the handle, they could come out with a sensor enabled tap that would turn the flow of water on or off by sensing the movement of human hand in front of it. This facilitated a new and innovative design of the tap. Questioning the assumptions may sometimes give rise to new disruptive ideas/products. Prior to iPhone, Camera, Music Player, Phone all were supposed (assumed) to be separate devices with existence of their own. After iPhone, they got packaged in a single box and their identities kind of merged with the identity of what the world would later call, a Smart Phone. Exploring the boundaries can help uncover new innovative ideas. It is one of the most common way of searching for new ideas. Most of the times, these ideas help achieve the incremental improvement in the system. In my next post, I will talk about other ways to innovate that can help go beyond the incremental improvement.